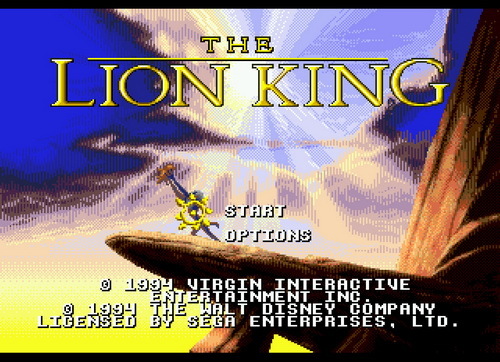 The Lion King is a side-scrolling platform game in which players control the protagonist, Simba, through the events of the film, going through both child and adult forms as the game progresses. 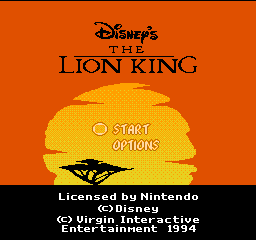 In the first half of the game, players control Simba as a child, who primarily defeats enemies by jumping on them. Simba also has the ability to roar, using up a replenishable meter, which can be used to stun enemies, make them vulnerable, or solve puzzles. 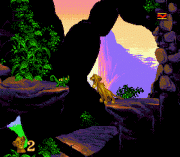 Midway through the game, players play through a unique stampede level in which they must avoid wildebeest and rocks. 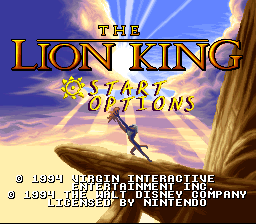 In the second half of the game, Simba becomes an adult and gains access to various combat moves such as scratching, mauling, and throws. In either form, Simba will lose a life if he runs out of health or encounters an instant-death obstacle, such as a bottomless pit or a rolling boulder. Throughout the game, the player can collect various types of bugs to help them through the game. 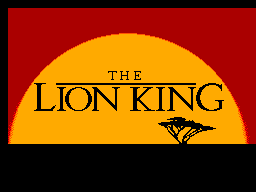 Some bugs restore Simba's health and roar meters, while other more rare bugs can increase these meters for the remainder of the game, but black spiders will cause Simba to lose health. 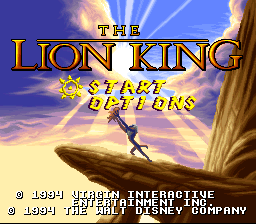 By finding certain bugs hidden in certain levels, the player can participate in bonus levels in which they player as either Timon or Pumbaa to earn extra lives and continues. Pumbaa's stages has him collect falling bugs and items until one hits the bottom of the screen, while Timon's stages has him hunt for bugs within a time limit whilst avoiding spiders.